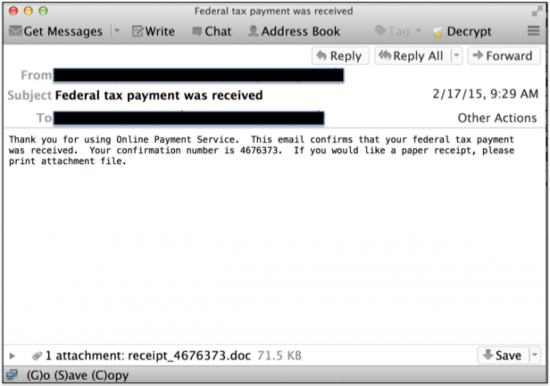 Earl Carter and Craig Williams from the Cisco Security Blog posted a great article on a recent wave of taxed related spear-phishing attacks (original post found HERE). 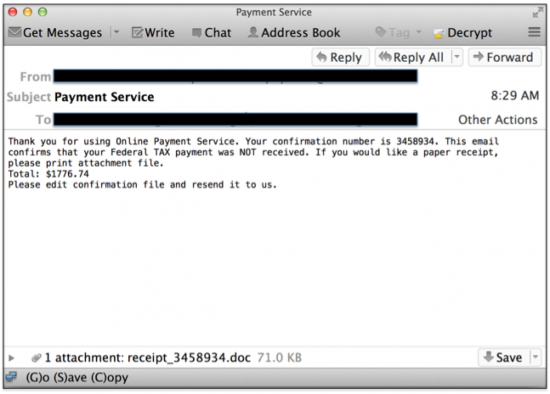 What is interesting is how attackers leverage current trends as the theme for their malware. For example, we will probably see a bunch of March Madness attacks along with Tax related phishing this month since thats what people are searching for online. This contradictions the old belief that “safe searching” aka not going to adult websites or searching for free software will keep you safe from malware. The reality is the attackers want the most bang for their buck so they will target where the most people are at. In March, thats Tax season and March Madness. Here is the post from Cisco. Vawtrak is designed to capture user credentials for over a hundred different specific online sites. Although a large percentage of the sites targeted are banking/financial sites, the list does include some phone providers and other online retail sites. For most of the sites they are targeting multiple web URL’s for each site in order to collect as much information as possible from the target user. It is interesting to note that the malware attempted to detect if it was being run within a sandbox as well as trying to determine if a debugger was detected. This is likely to try and hinder automated analysis. Using the ThreatGRID sandbox we were able to find VBA script files associated with this malware dating back to December of 2014, additional components dated back to 2013. 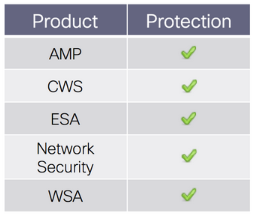 Previous Previous post: Comparing iOS to Android – Which is more secure?